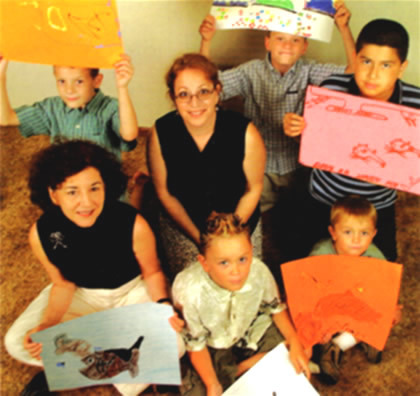 The Alcove began its first group with 6 children and their caregivers in November 2001 one week after receiving the 501 (c)3 nonprofit status. The groups were held in a small space donated by a local church in Somers Point, NJ. In 2003, The Alcove moved into its current location in Northfield, NJ, where we have nearly 3,000 square feet of combined group meeting rooms and office space. In 2011 we moved to our current location expanding to 4,500 square feet of office space in addition to 1,500 sq. ft. for the thrift shop. Each meeting room is decorated age appropriately for the children. Local community members and area school children were instrumental in painting and designing murals for the group rooms. Our facility is designed to be inviting and comfortable to help provide a safe and supportive atmosphere for families to discuss their pain and grief. In 2005, a school outreach program was developed to help meet the needs of children who otherwise could not attend services at the center. We currently run school-based bereavement groups for grades 1-12 in six area schools within Atlantic and Cape May counties. We continue to grow our support programs so that every parent who is struggling with how to help their child through a loss, always has a place to turn. We are grateful to the community for supporting us from the very first day we began our mission, enabling us to provide our services at no cost for children and families who attend our programs.